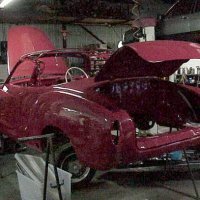 This is a new project and I want to show people/prospective Buyers, how they can get caught, when they do not look hard enough. 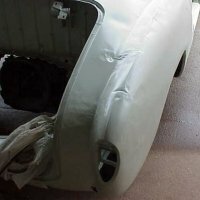 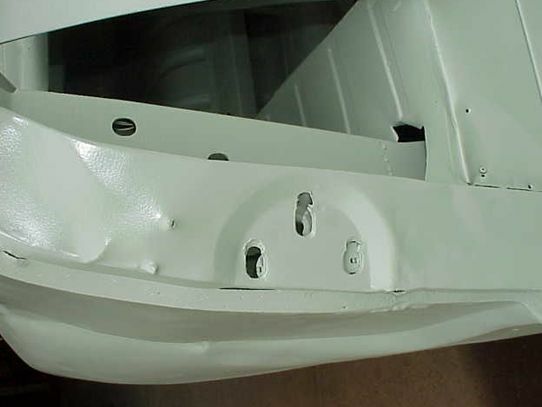 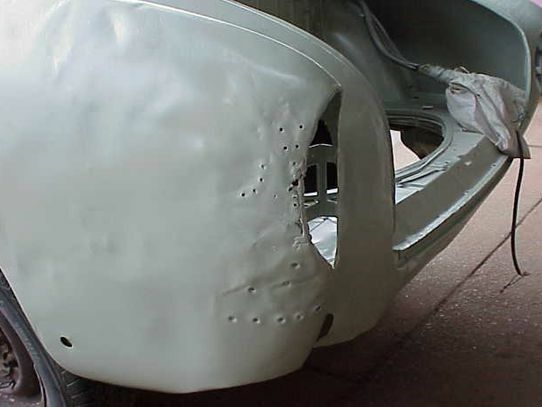 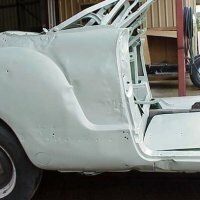 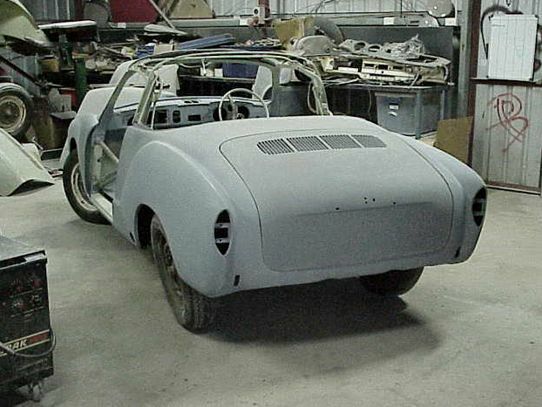 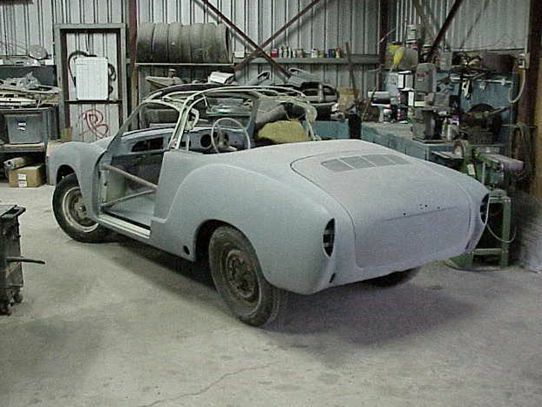 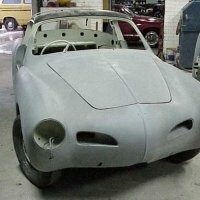 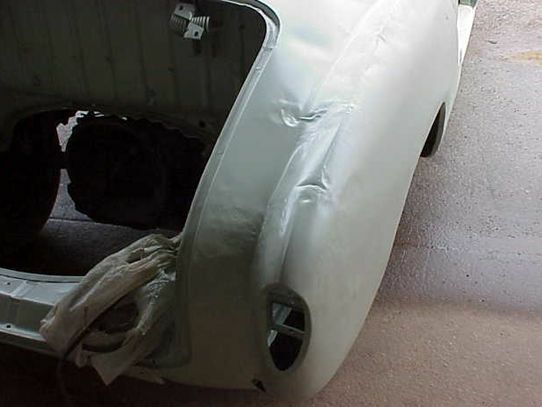 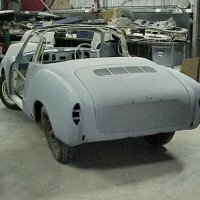 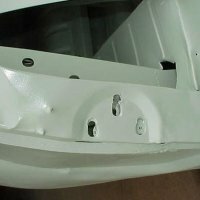 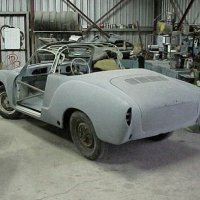 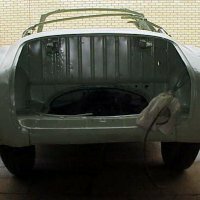 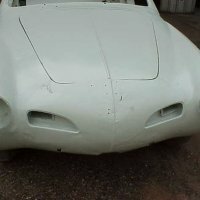 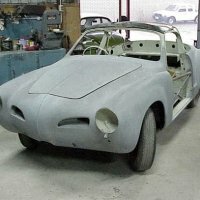 The first pictures are how the car looked when the Customer bought it in Adelaide - body filler covering lots of damage and painted over in grey primer. 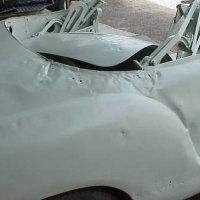 The "greenish" pictures are when we received the car back from the beadblaster - and the pictures tell their own story. 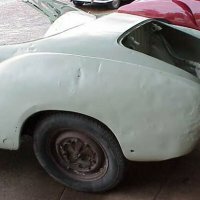 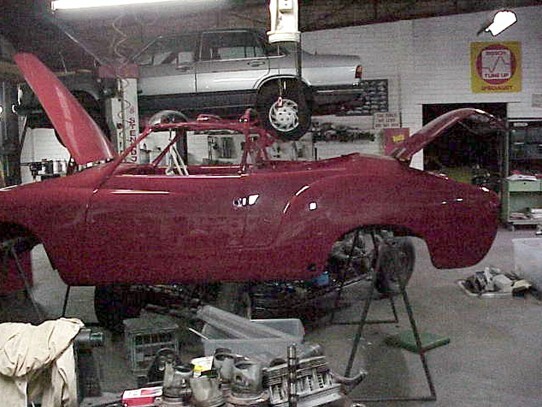 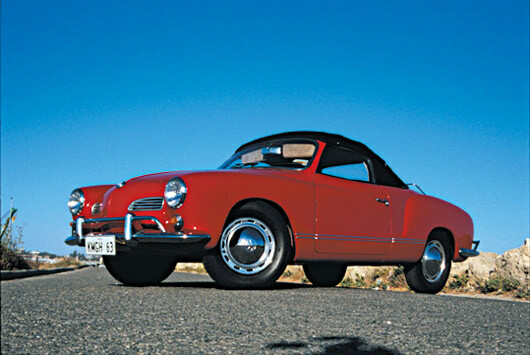 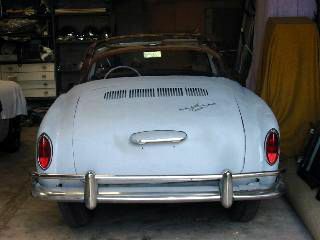 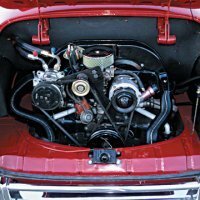 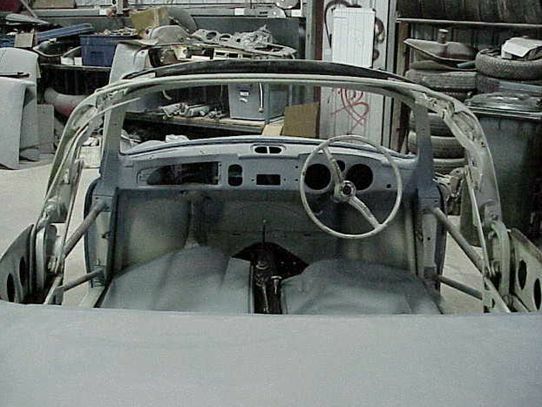 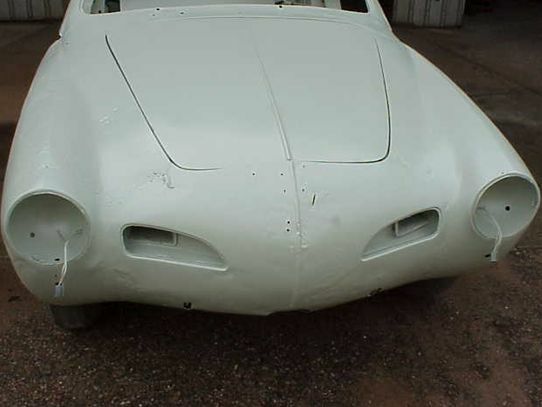 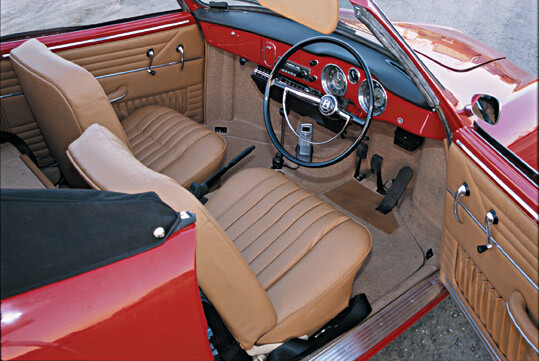 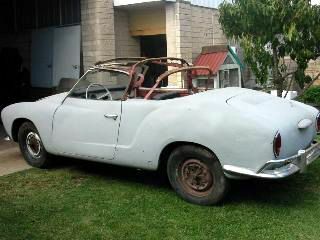 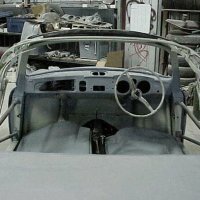 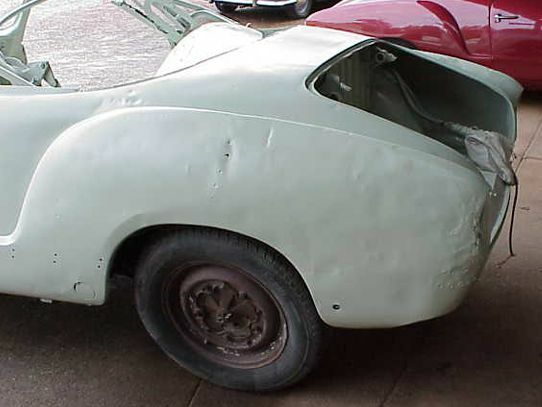 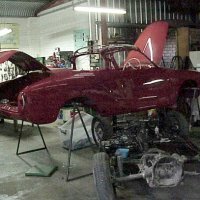 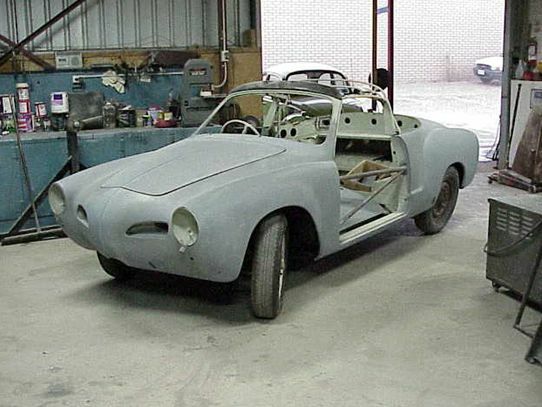 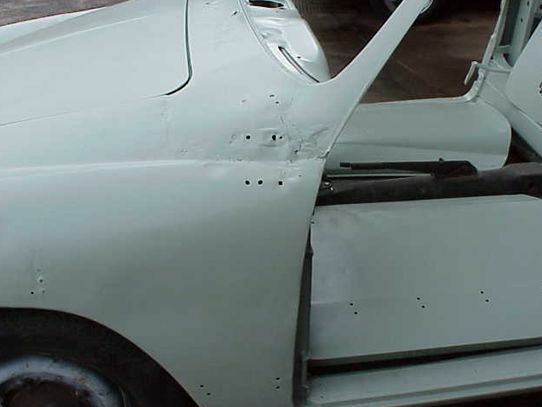 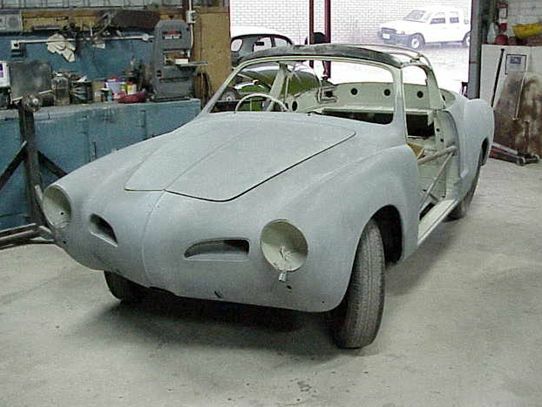 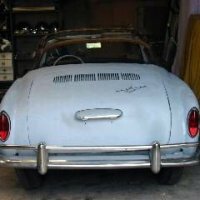 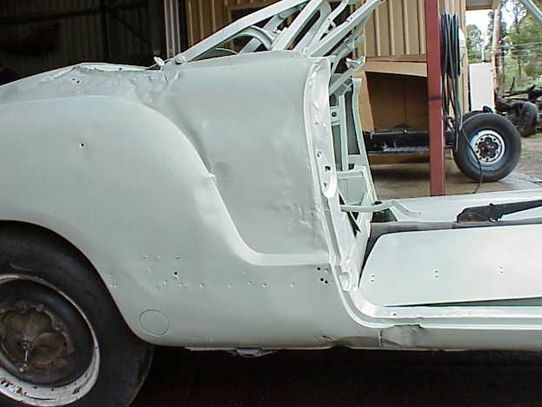 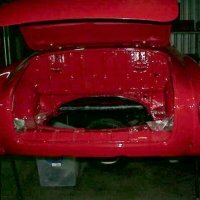 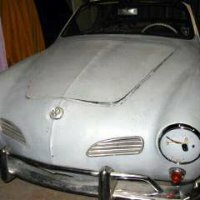 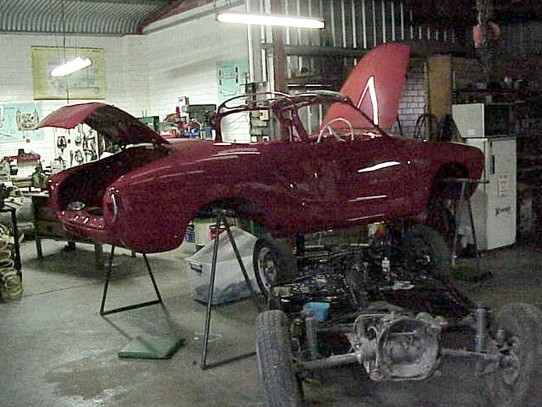 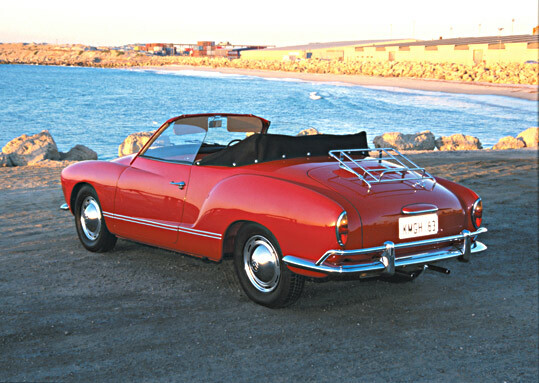 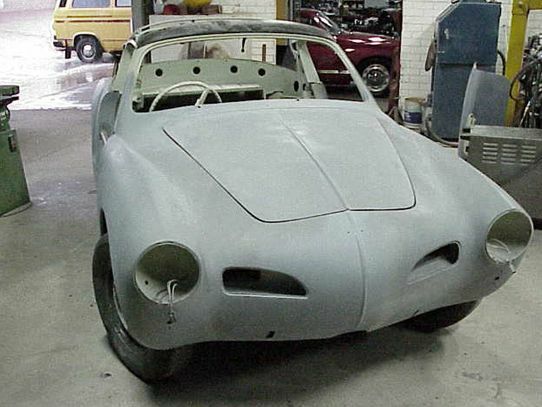 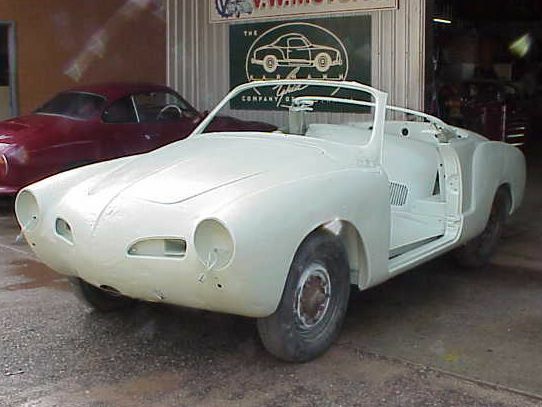 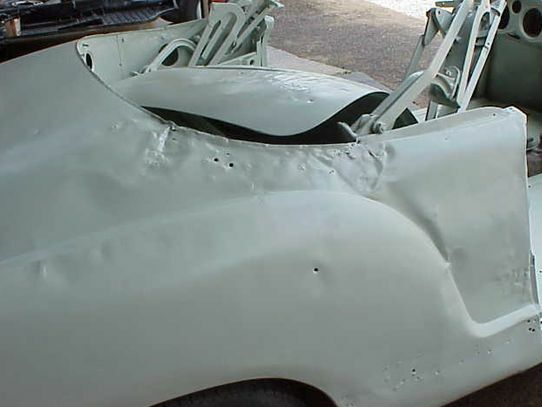 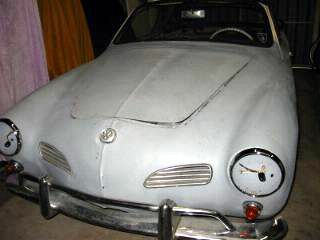 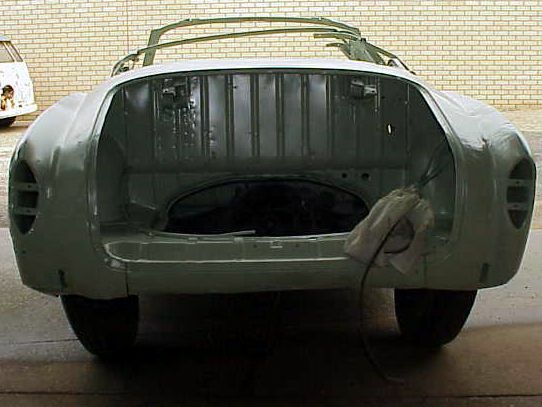 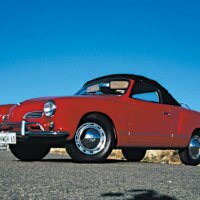 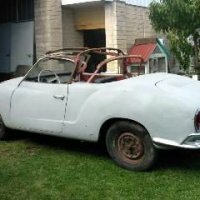 The car was bought in Adelaide from a KG Importer and it was supposed to be an easy restoration. 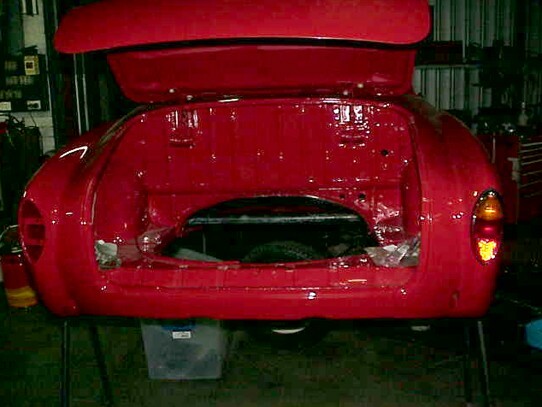 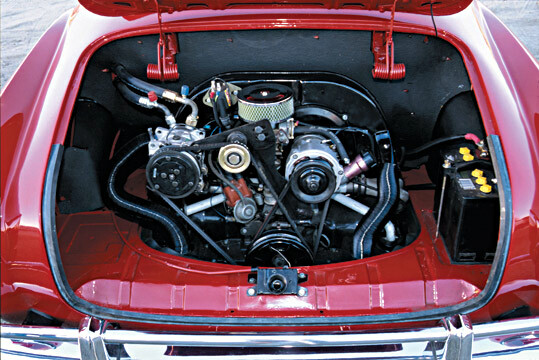 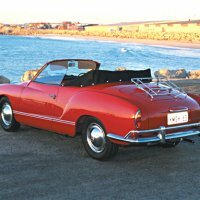 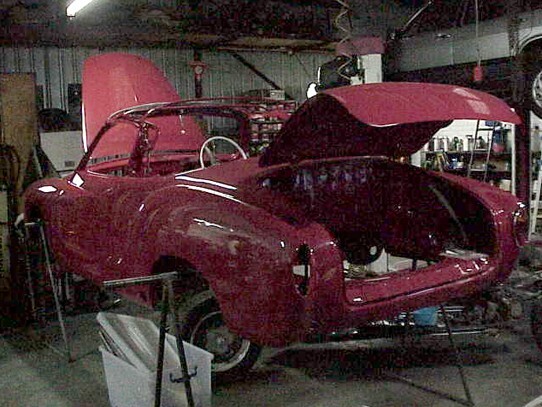 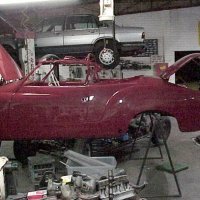 Paint is original colour " Ruby Red " and will have a Black Hartze Top. 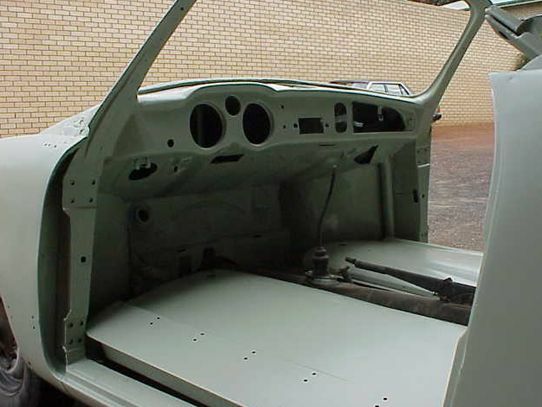 We are installing an Air conditioner to this car. 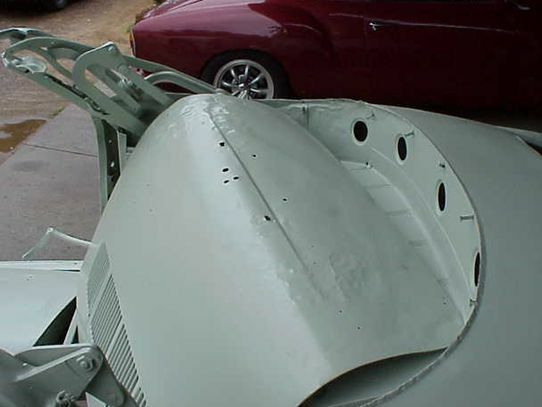 Please note: Scroll down for more photos.